This last week and a half was my first foray into the world of selling my preserves. 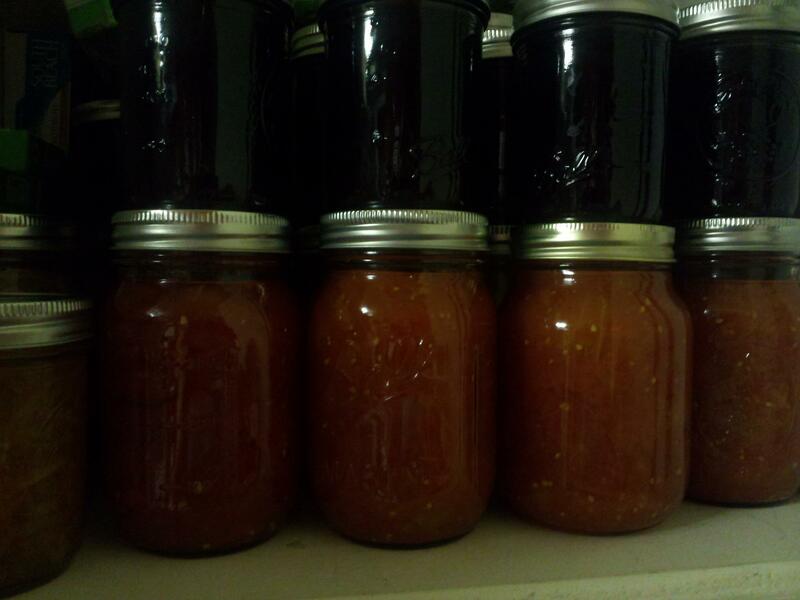 When I started canning, I had no intention of trying to sell anything I made, nor had the thought even entered my mind. But I have received so much interest in what I am doing that I finally decided to sample some coworkers on a few jams, and I also brought some to a community yard sale I was taking part in on Saturday. 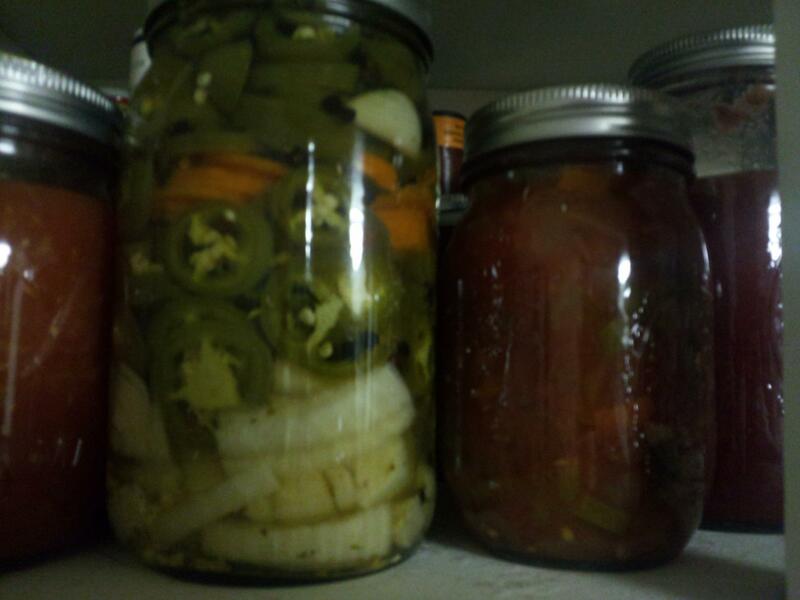 The results exceeded my expectations and have made me rethink if canning might not be a way for me to, at least, fund my own pantry. 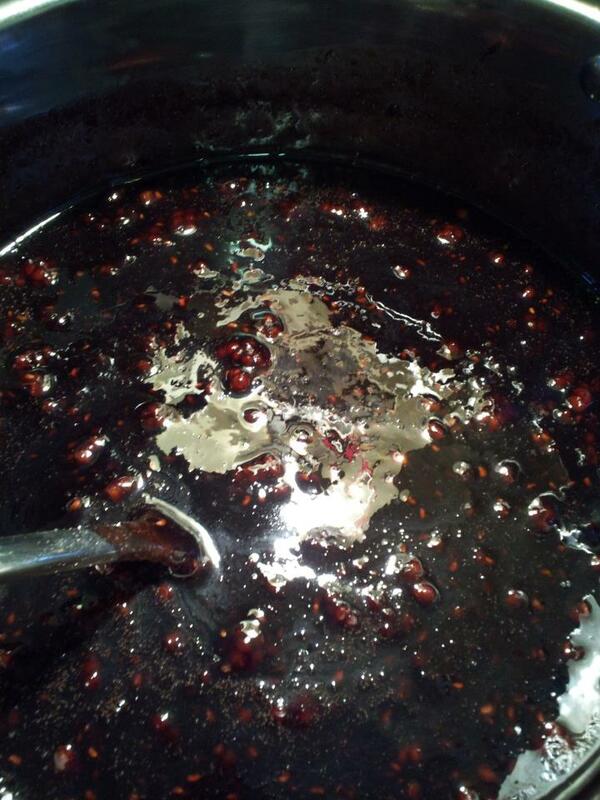 I guess I shouldn’t have underestimated the power of all-natural, no artificial anything added, home-made jams. The first time I tried canning, attempting strawberry jam but ending up with strawberry syrup, despite it not setting properly the flavor was so delicious that I declared then and there that I would never buy such things from the store again. And ever since that first attempt back in February, I have canned anything and everything I can get my hands on inexpensively (so long as it hasn’t required a pressure canner). Somehow, though, I had never quite connected that others would taste one spoonful of the way food is supposed to taste and find it irresistible to buy. And now I have people, after only a week and a half, quickly emptying jars and coming back for more. It is truly amazing. Although my jams are full of sugar, they are also so full of flavor that it takes one fourth as much swirled into plain yogurt or spread lightly on toast. I am beginning to realize how totally artificial and over-processed our food is, just in the simple act of canning up a batch of my own cherry raspberry jam or sliced pineapple. And that is without even limiting myself to only organic (due to cost). I am delighted in the jam sales not just because they are beneficial to my family’s finances, but because it serves as a small affirmation that I am not alone in being able to instantly taste and recognize the difference of what food is supposed to taste like. I’ve always wanted a food dehydrator, although I have never gotten around to getting one and, in fact, do not have one to this day. Despite this, after reading about drying fruit in a few books I decided to give oven drying a shot and made my own apple chips. The process is incredibly easy. Simply slice fruit as thin as you would like (trying to get the same thickness), spread the slices on non-stick cookie sheets, and put in a pre-heated oven at 170 degrees with the oven door cracked open. 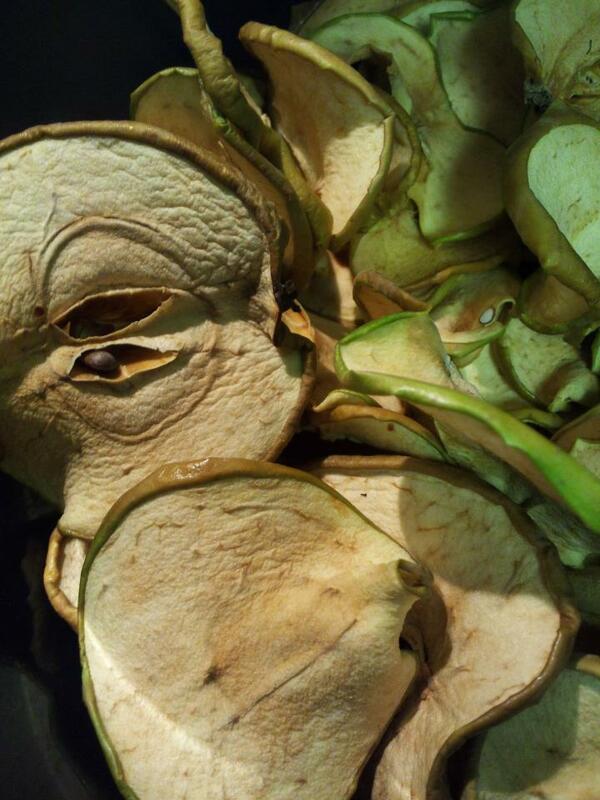 1) This may be one of those rare occasions where it makes more sense to buy store-bought, high quality organic apple chips than to try to make them myself. A five pound bag of apples only yielded the equivalent of around $3 worth of store-bought apple chips, and the bag cost me almost $4. Doing it myself makes much more sense if I am growing the apples myself, u-picking them or buying them at a bulk discount. 2) It takes a very long time to oven dry and is probably a pretty inefficient use of resources. This project makes total sense in the dead of winter when the extra heat coming from the oven is heavenly. 3) A food dehydrator is definitely the way to go on this project. I will probably not be trying this again without one. 4) Despite the instructions saying that I would want them chewy, I ended up pulling them out too soon, so they are more mushy than chewy. Again, it takes a pretty long time to dry them properly, and patience is a virtue. All of this having been said, they tasted delicious, although not necessarily better than a high-quality, organic store-bought bag. I’ll probably stick with buying those on sale for now. I’d like to say I was surprised. But I can’t. 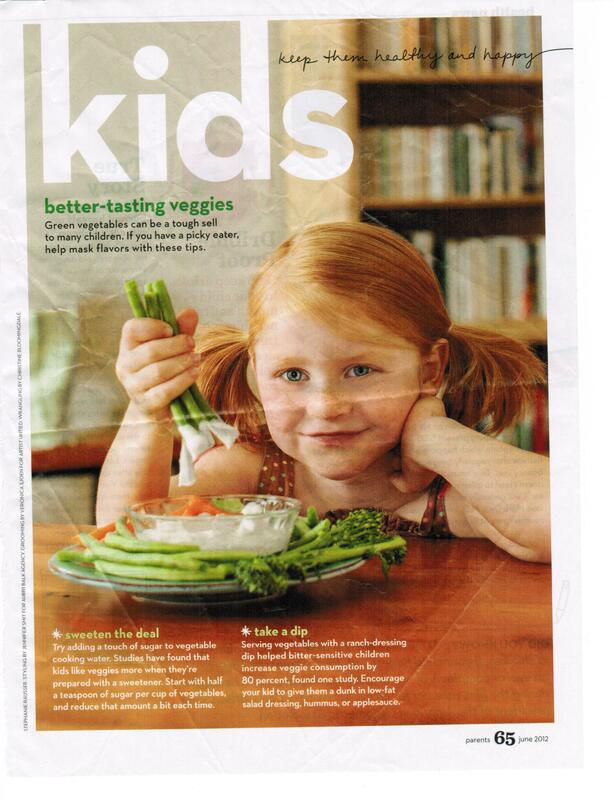 There it was in pretty white lettering in one of the most influential parenting magazines in the country. 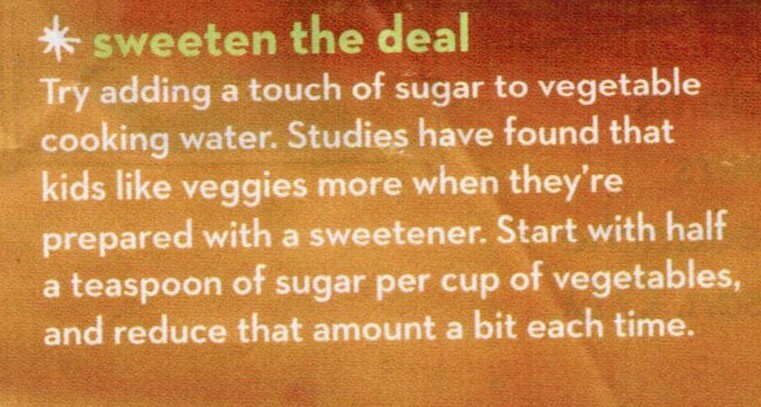 Add sugar and your children will like vegetables. Oh sure, you can wean them off of it, but in the meantime, just add sugar. I don’t usually editorialize anywhere, and certainly not here, but I just couldn’t help it. I look around at the ever expanding waistlines of our society, and even those of our children, and I wonder how anyone, in good conscience, can advise parents to just add sugar. Now, I know that the struggle over getting kids to eat good nutrition is difficult. And I know that I am far from having finished the race. But I also have two toddlers (two and a half and three and a half) who love vegetables, who eat virtually anything put in front of them, and who get excited on the three or so nights a week that dinner is an entree salad. 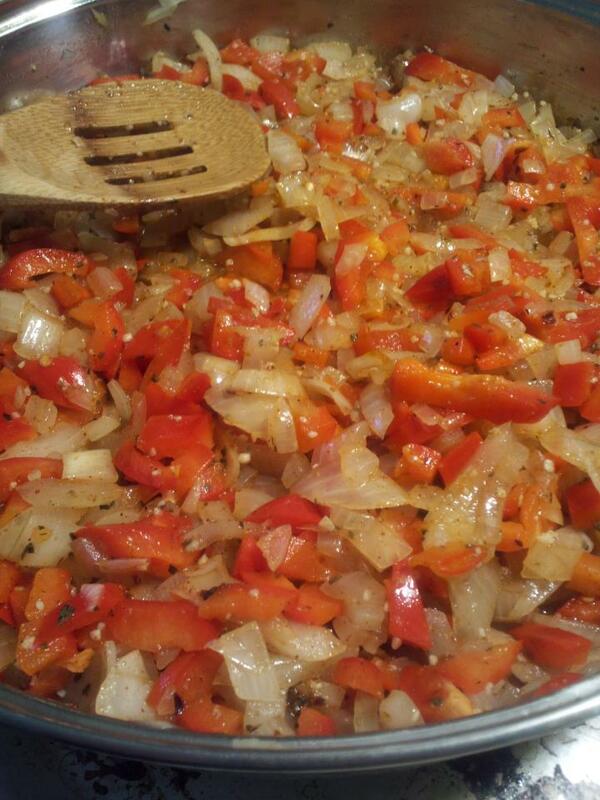 They adore hearty soups full of nutrition, steamed vegetables, or omelets full of diced up goodness. 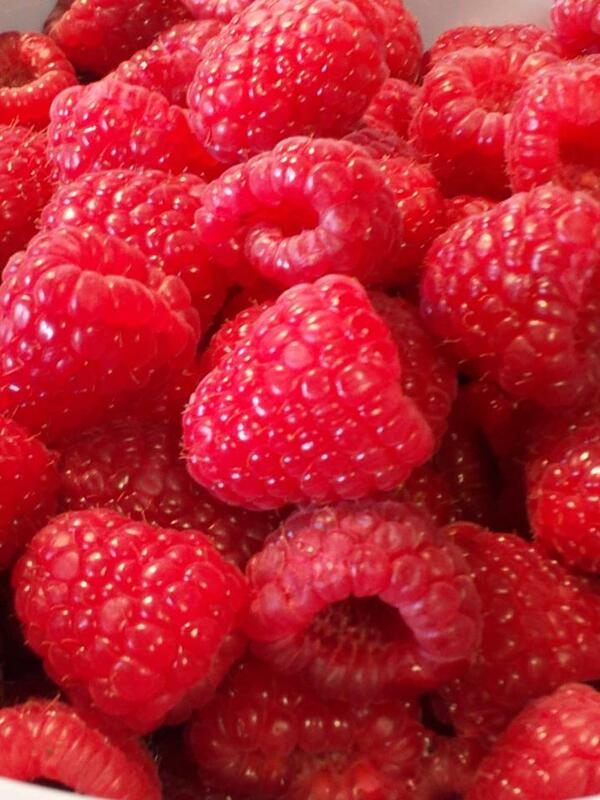 They get more excited about a pile of raspberries in a cup than a spoon full of ice cream. Does this make me an expert? Absolutely not. But perhaps it gives me some small amount of credibility when I say that it is absolutely unnecessary to just add sugar to get kids to eat good food. First of all, we (the parents) eat lots of good, healthy food. Kids do what they see, and we have always tried to model the nutrition we want them to have to the best of our abilities. And we have also always given them our food to share. We do not order them a fried chicken kids meal and then order ourselves a nutritious entree. Portions are big enough as it is–we share our food with them. Some day, when they get old enough to need their own plate I feel fairly confident they will order the same foods they happily dig into now. 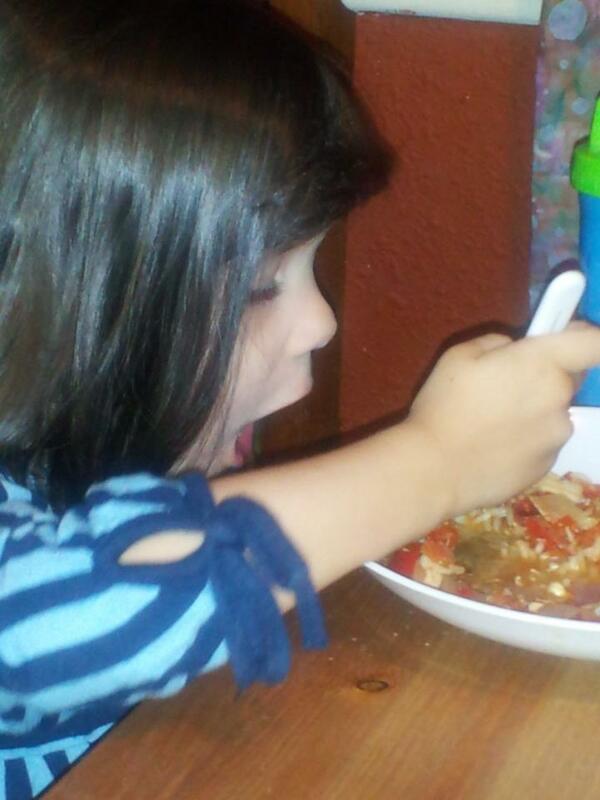 They have also been exposed to tastes from many different cultures, since we do not order them separate kid’s meals. They know flavors from every corner of the globe, and love them. 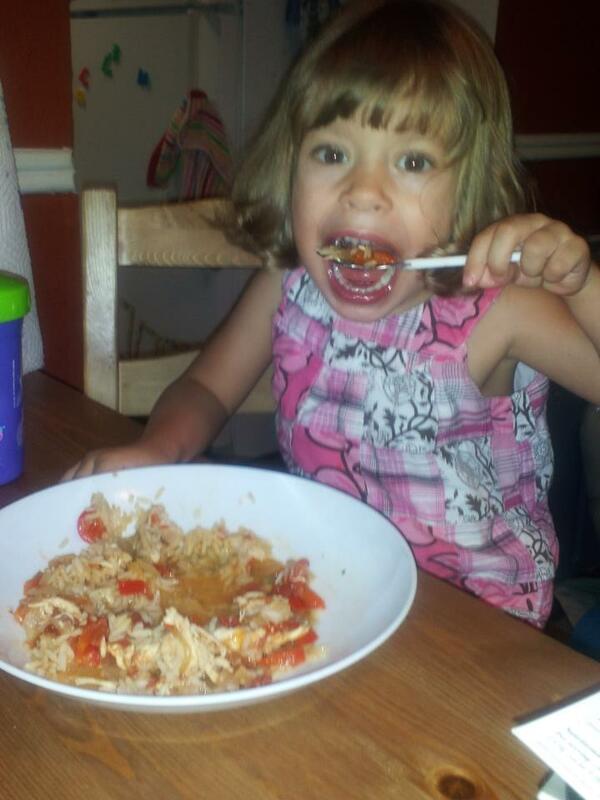 My two year old is addicted to spicy foods. She adores anything with hot sauce on it. But most of all, there is hardly a food they won’t try and almost always do they enjoy everything they try. Their tastes are open and willing to experiment. Now, don’t get me wrong, they love french fries. We do not ban any food, including ice cream, french fries, pizza or hamburgers. And I definitely depend on frozen pizzas to provide dinner once in awhile. But they eat far more entree salads and thick hearty soups than they do hamburgers or chicken fingers. We believe that the outright banning of foods makes them more appealing, so we strive to teach them by example that these things are occasional foods. And many of our “treats” are hardly lacking in nutrition. One of my daughters’ favorite desserts is organic plain yogurt mixed with some homemade, home-canned strawberry or blueberry sauce. Just a drizzle of homemade sauce is all that is necessary to add wonderful flavor, and the sugar content ends up being so much lower than any commercially sweetened yogurt. Getting toddlers to eat healthy foods involves tremendous amounts of patience, perseverance and yes, that dreaded word, discipline. More than once my daughter’s received their untouched plates back for their next meal, instead of the next set of food. More than one snack was presented as the cold carrots still left from lunch. It didn’t take many times like this for our daughters to realize that we were serious, and we were willing to enforce. Serious battles only erupted about twice each girl. The storm of pickiness was weathered and the war was won. And the rules didn’t change no matter where we were. Insufficiently eaten foods from restaurants were happily packed up and carted home for left-over snacks, reinforcing the idea that normal was to eat what is given to you. “If you try it, you’ll like it,” became the mantra of our household in those precarious times when our daughters were determining if they would become picky-eaters or not. To this day, most vegetables in our house are served in a salad, in a soup, or steamed and plain on the side of the dish. No sugar, no extra butter, no cheese sauce, and no ketchup necessary. And they are happily consumed. My youngest has on many occasion even forgone foods one would think a toddler more likely to dive into for the joy of finishing her mixed vegetables. Watching her eat a few bites of dessert, then push aside the bowl to finish scraps of broccoli has filled me with more motherly pride than I can express. Today I have the priviledge of guest blogging at the New Life Christian Fellowship Blog with a letter to my 20 year old self. It is a part of a series this blog is doing to explore what we, in hindsight, wish we could have told ourselves. In my case, it begins with slowing down and not trying so hard to do so much. and while you are it, check out the other posts in this series. They are all very insightful. Although Florida blueberry season has passed, we are being inundated with bountiful and inexpensive blueberries from other states. 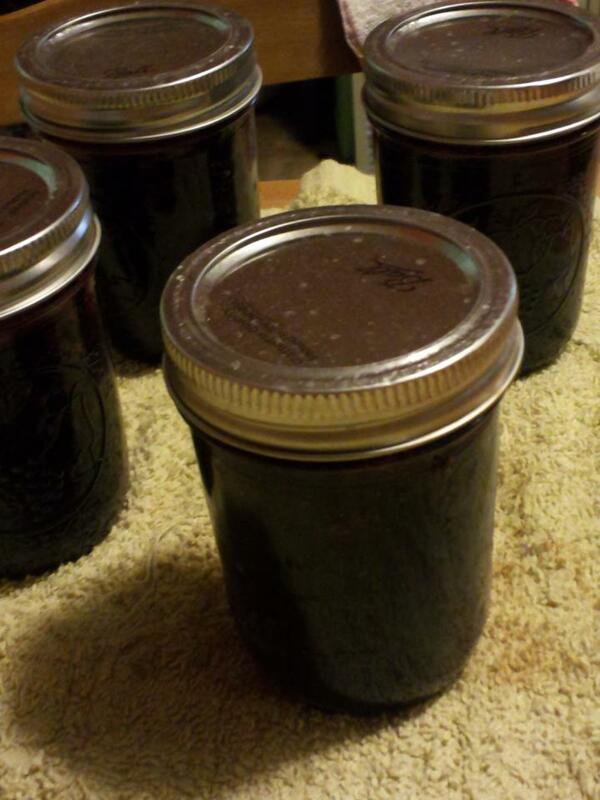 So, in addition to the blueberry syrup I already canned, i decided to give blueberry jam a shot. Like most things canning, it was easier than I expected. 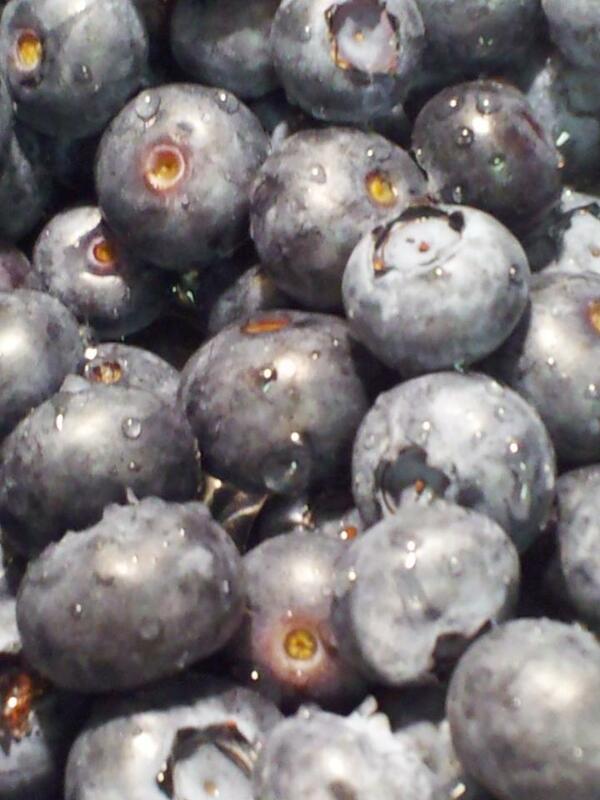 I started with about one pound of blueberries. A pint is usually about 3/4 pounds, so I used about a pint and a third because I didn’t want to drag out my kitchen scale. 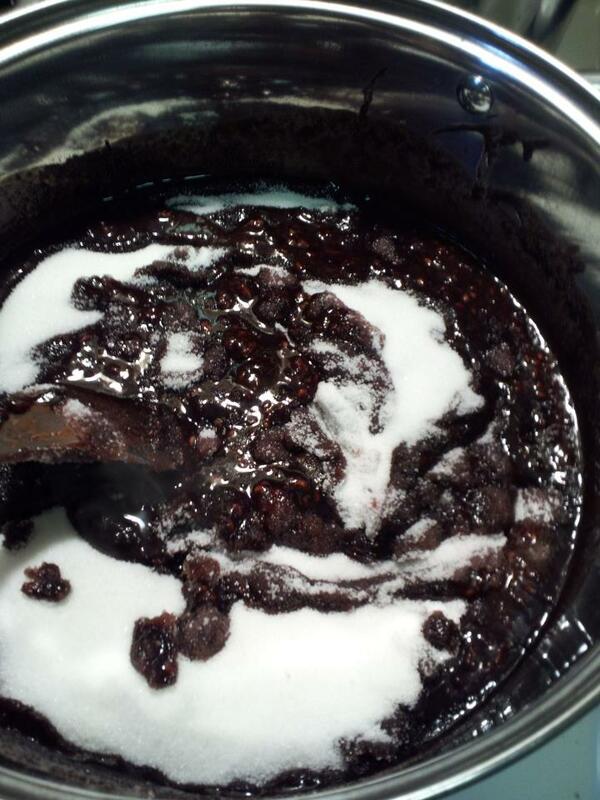 After washing the blueberries and removing all stems, I crushed them into a pulp. 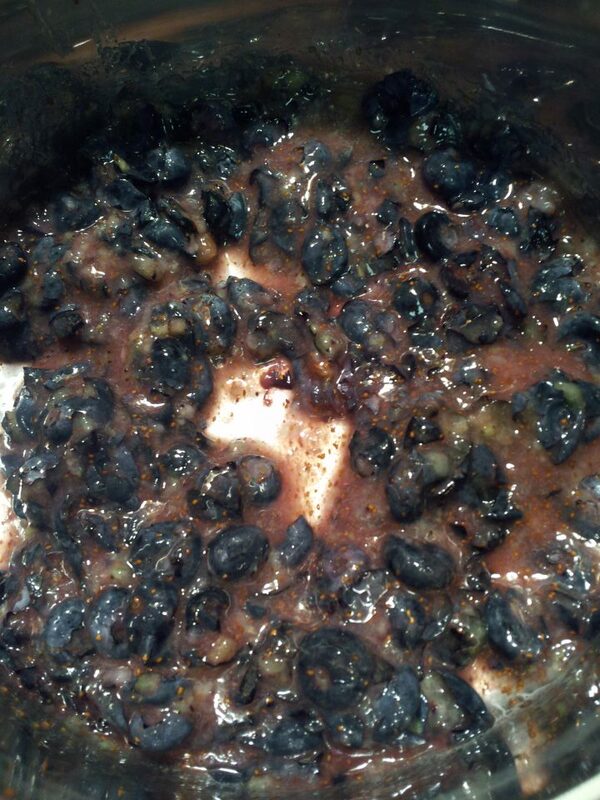 The crushed berries should measure about 2 cups. Then, I put the crushed berries in a saucepan with 3 1/2 cups sugar, 1 tablespoon lemon juice, 1/4 ground cinnamon, and 1/8 ground cloves. 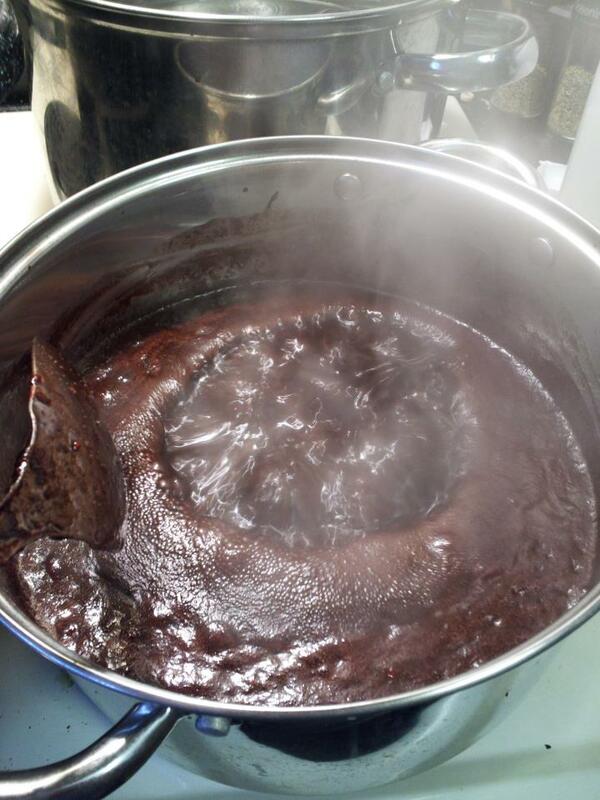 I brought the mixture to a boil, then added 1/2 a box of sure-gel pectin and returned it to a rolling boil for 1 minute. 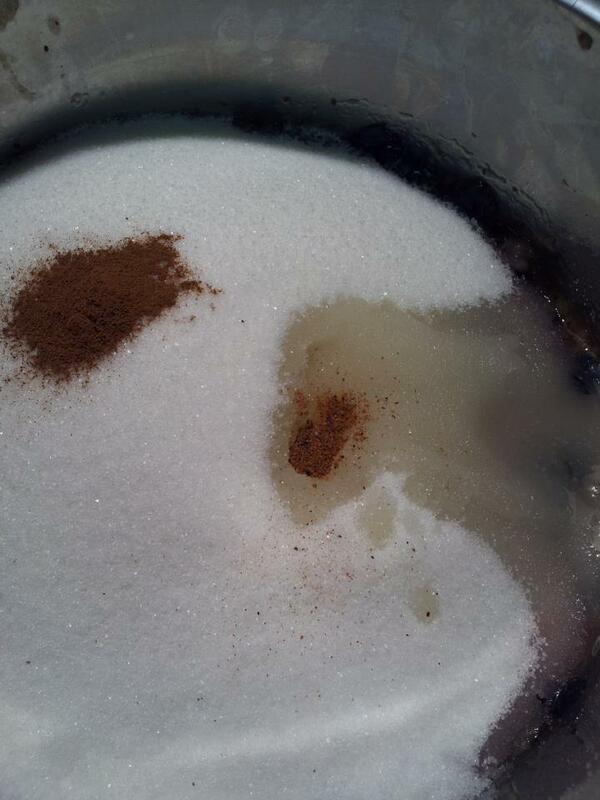 Then, I quickly skimmed off the foam (skimming the scum! ), and ladled the mixture into my sterilized half pint jars, leaving about 1/4 inch head-space and wiping the rims. The jars only needed processed in the water canner for about five minutes. The smell of the fresh blueberries cooking is heavenly, especially with the whiffs of cinnamon and cloves coming up in the steam. 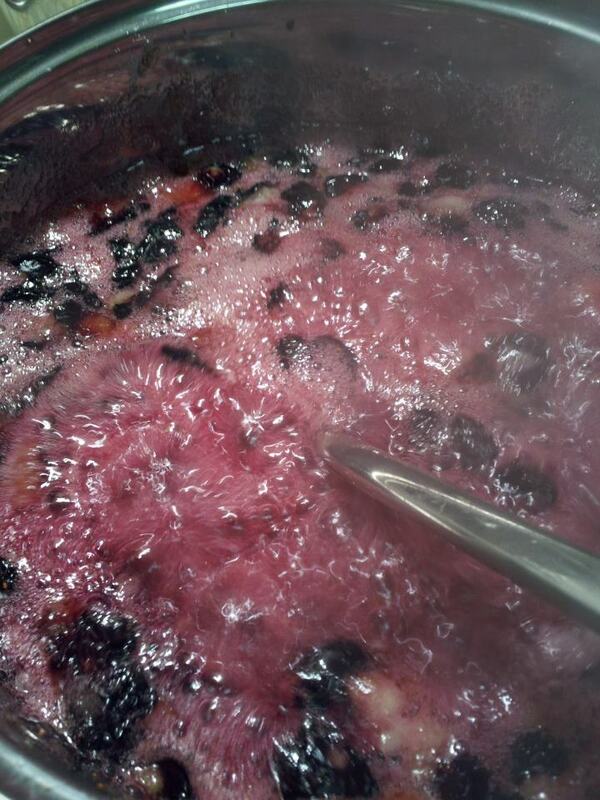 And the rich indigo color of the jam is wonderful. I’m trying to decide what types of dishes I want to serve this with, because it should definitely be something special and not just a peanut butter and jelly sandwich. Any suggestions? Saturday I had the great pleasure of enjoying the company of two good friends over a massive pile of food, empty jars, and water bath canners. Discovering that you are not alone in an unusual hobby, but actually even surrounded by people who are discovering an interest in it just as you are, brings immense satisfaction. Together, we did more than twelve hours of canning work and churned out about five or six separate recipes. I alone brought home about forty-four pints of food. The other wonderful thing about a “canning party” is that people were meant to do such things in the midst of community. Beyond the simple fact that many hands make for light work, it also can take tedious tasks and make them enjoyable when you can banter with friends. For most of human history, groups of people gathered together to process a harvest. Getting together with friends had a timeless quality to it that was truly wonderful. And even though I sincerely love canning, when you are processing that much food it is serious work. 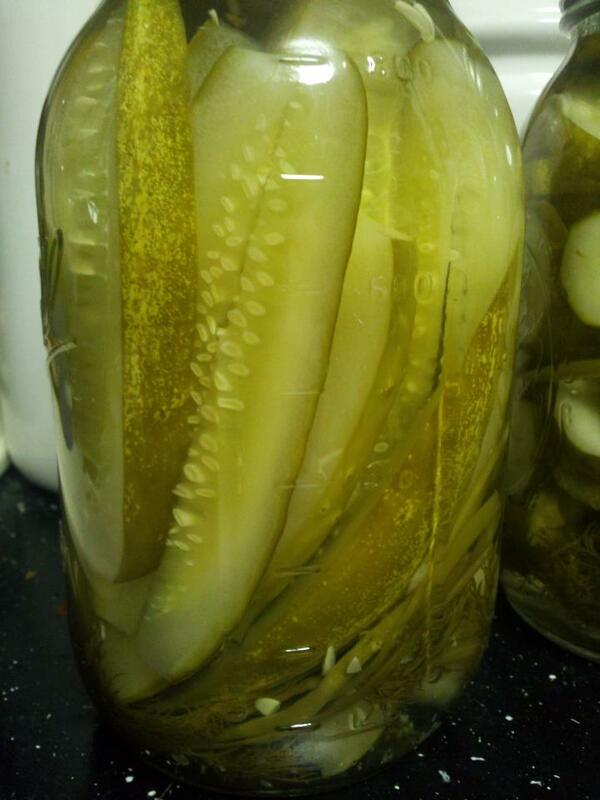 In this pleasant company, I took my first stab at pickles and discovered that they are just about one of the easiest things to make and can on the entire planet. 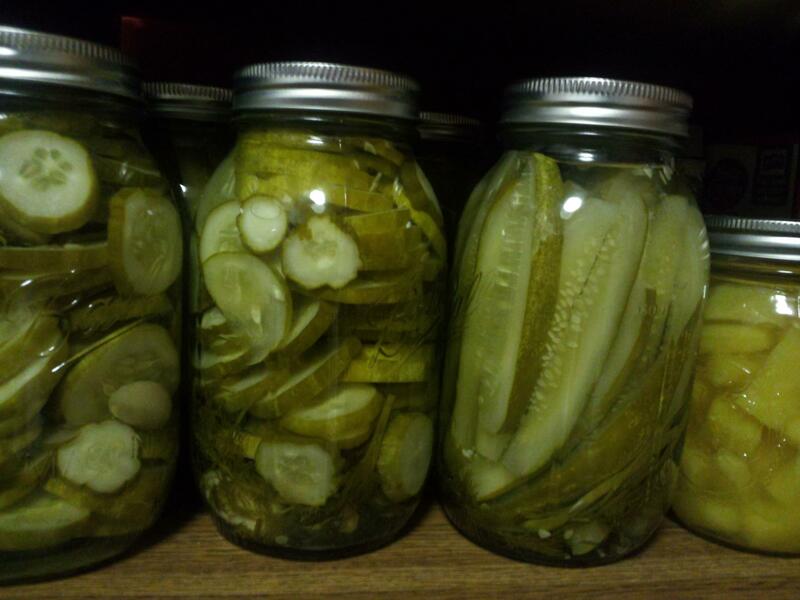 We kept the pickles simple. We put about three cloves of garlic and a small handful of fresh dill in the bottom of each quart jar. We then packed in cut up pickling cucumbers in circles or wedges or whole. Then, we mixed up a large batch using the recipe of 3 cups of distilled water, 2 cups of white vinegar, and 1/4 c of pickling salt. 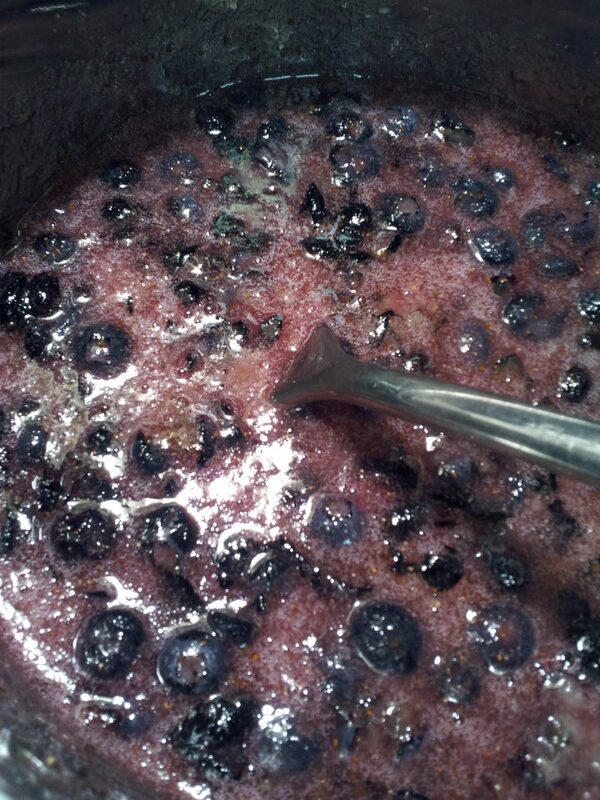 We brought this to a boil, poured it into the prepared jars, wiped the rims and added the lids and rings. Then, the jars went into the water bath canner for fifteen minutes and they were done. Before they even went into the canner, they had started to transform into that lovely green pickle color. Now, two days later they are looking gorgeous. I will give them a few weeks before I pop open a jar to taste them, but for now I am satisfied with their looks. 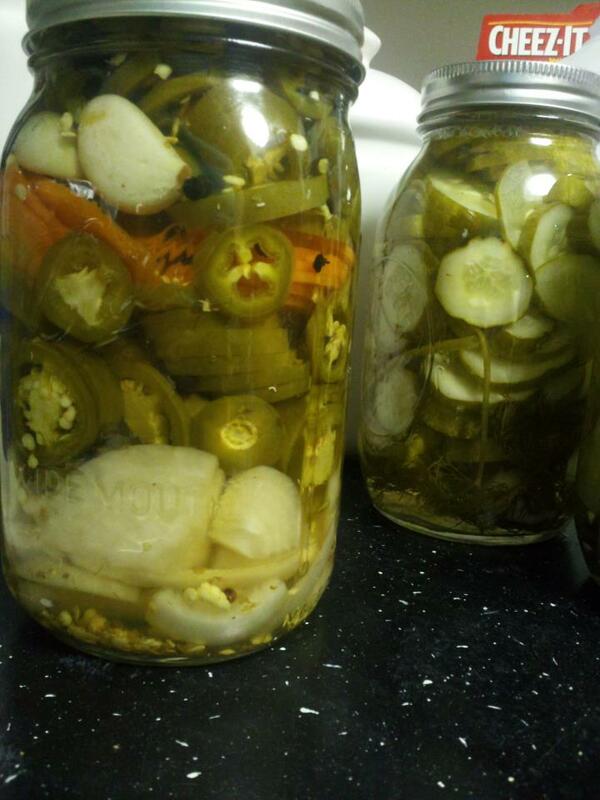 Oh, and did I mention one friend did pickled jalapenos as well? 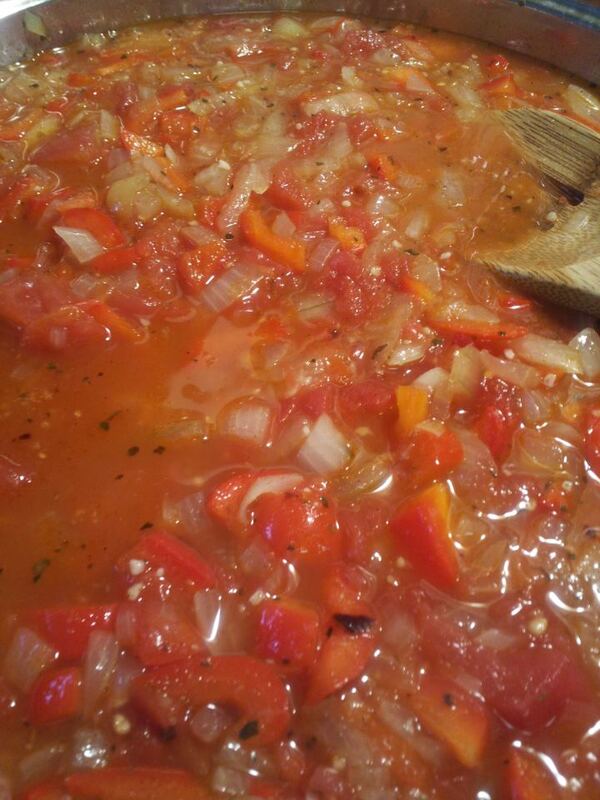 Between the three of us, we also made mango salsa, regular salsa, blueberry syrup, orange marmalade and spaghetti sauce. And the next night I canned up some pineapple I’d gotten a good deal on. Orange marmalade was the first item I’ve tried canning that I think might be worth just buying. Removing all the white from the orange peels was very challenging and nearly wore me out. It doesn’t help that I made two batches of it, I am sure. I promise to post recipes and instructions soon. Unfortunately, my camera wasn’t working so I didn’t get process pictures. Everything turned out very well, though, and so far it all tastes delicious. The canning party idea was definitely a good one, and I highly recommend it. My cabinets are all starting to look like a pantry from the 1960s, or a bizarre, home-made grocery store. Between the canning we did on Saturday and all the other canning I’ve been doing, we are exploding with delicious jars of home-made food. This makes me very happy. First of all, if a hurricane hits, we will not get scurvy. Between all the pineapples, tomatoes, salsas, etc., we will certainly not be vitamin deficient. Secondly, I have managed to acquire all of this produce so far in season, locally sourced and at seriously good prices. Now that tomatoes are no longer locally in season, I can rest in the knowledge of the pints upon pints of crushed and diced tomatoes, the several quarts of spaghetti sauce, and the salsa I have in stock to tide me over until the fall tomato season. This stocking of “canned” goods ensures that we are always eating food with the highest possible quality at the lowest possible price. I ran across this wonderful recipe on Ball’s recipe site, and decided to give it a try tonight. It turned out absolutely awesome, and now I’ve got four pint jars of deliciousness to enjoy over the course of the next year! First, get the water bath canning water warming, then mash about 4-5 half pints of raspberries to get about 4 1/2 cups of crushed red raspberries. Then, add four tablespoons of lemon juice, pour it into a large saucepan. 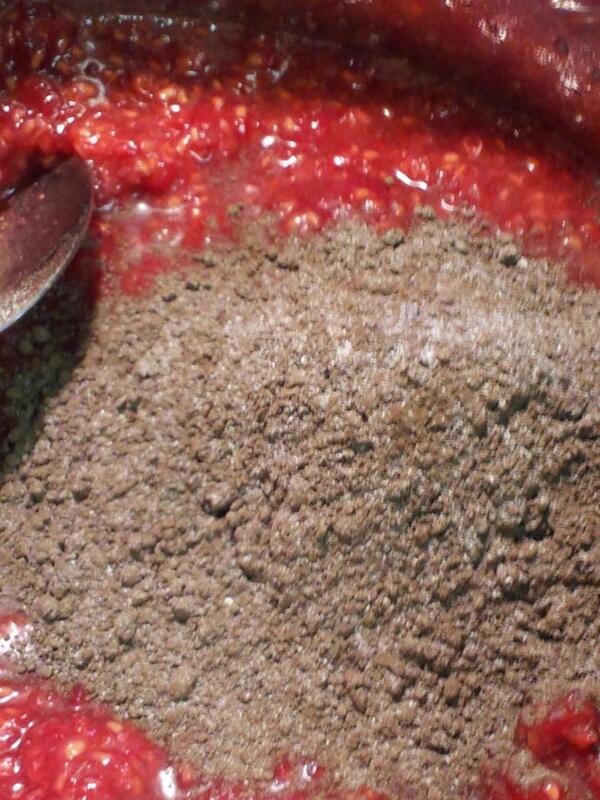 Combine the six tablespoons of pectin powder and 1/2 cup of unsweetened cocoa powder into a bowl, whisk together, and add to the raspberry lemon mixture. Mix well and bring it to a boil in high heat. Then, add six and three quarters cups of sugar all at once, return the mixture to a full boil and let it boil hard for 1 minute. (You shouldn’t be able to stir away the boil). Remove it from the heat and skim off any foam that has formed. (Or as I prefer to think of it–skim off the scum). Pour into your prepared canning jars leaving 1/4 inch of head space (jars, lids and bands should be warm in simmering but not boiling water), wipe the rims, remove any air bubbles, and add the lids and bands. Jars should be processed for 10 minutes in boiling water. Although the recipe indicated that I would get about 3 pints of topping, I actually got four full pints. 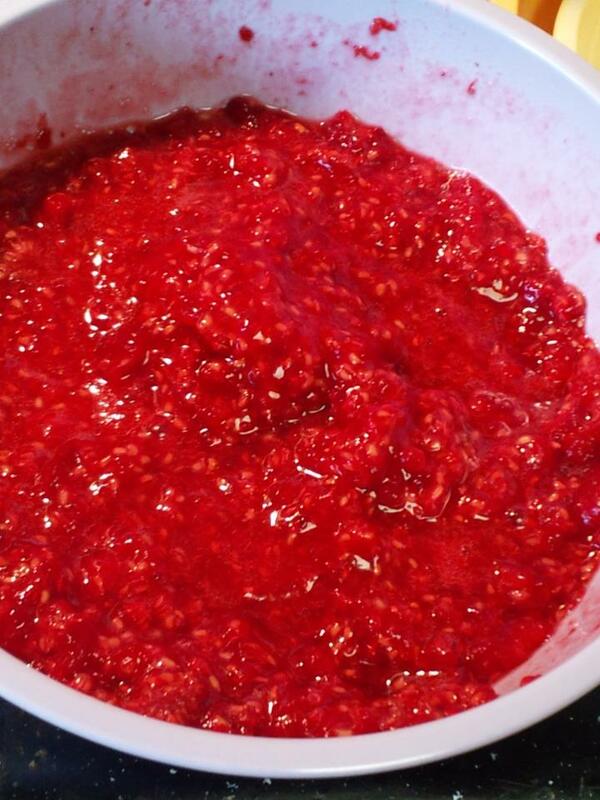 I started off with slightly more raspberries than the recipe called for, though, so I adjusted the recipe as I went. Although my final result is in the process of sealing and cooling, I can say that the remains left in the bottom of the pan tasted delicious, and I am eagerly awaiting an excuse to pop open a jar. Canning is getting easier and easier and I am also falling more and more in love with it. Canning allows me to buy high quality produce in bulk and to preserve it all the while knowing the nutrients are getting locked in and no artificial chemicals or additives are being added. I am saving a ton of money through canning now that I no longer have to buy jars every time I can. But by far the best part is how amazingly delicious everything tastes. My family and I are still popping open jars of pineapple chunks from my canning rounds a few months ago, and every time it smells and tastes like I just cut open a fresh pineapple. 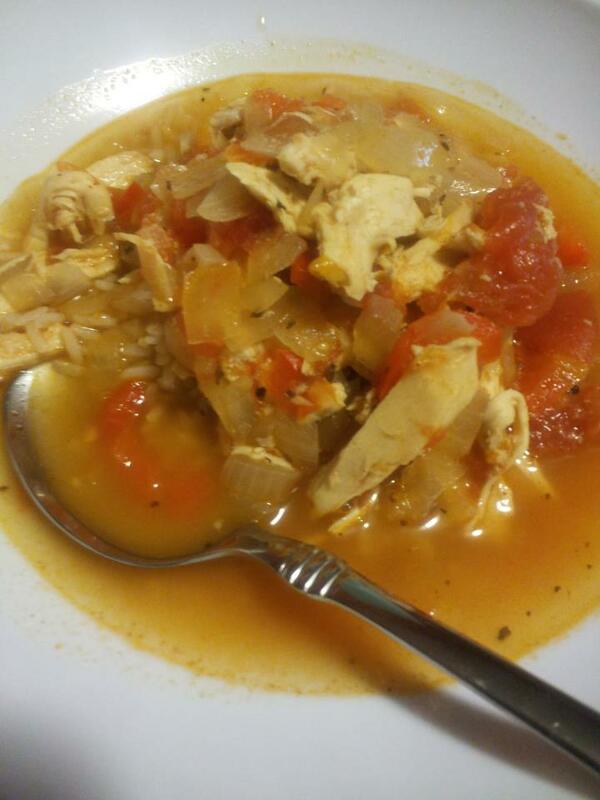 One of my favorite recipes is also a very healthy one and one that my children adore–chicken chili. 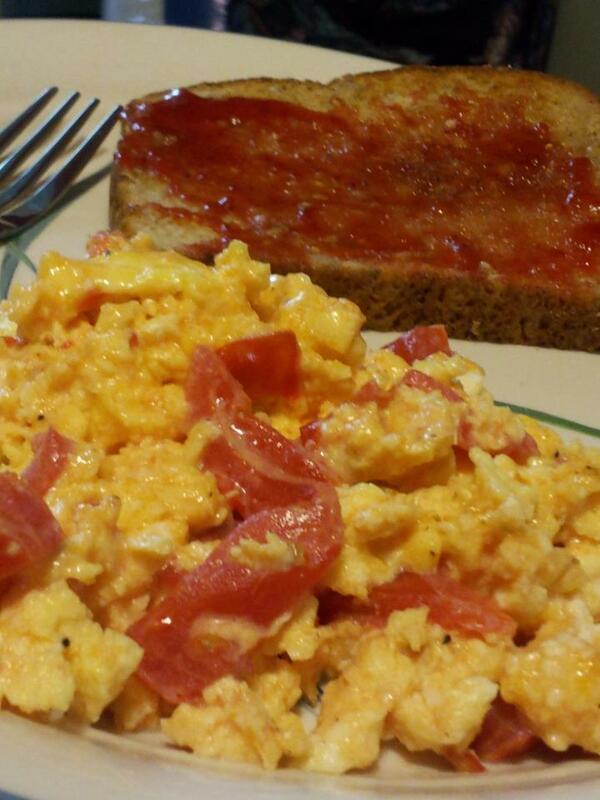 It is pretty easy, cooks in a reasonable amount of time, and is extremely healthy. And my toddlers love it. I started with a Barefoot Contessa recipe on foodnetwork.com, but have modified it slightly. Cook the onions in the oil until translucent, then add the garlic and cook for one minute, then add the pepper and spices and cook for another minute. 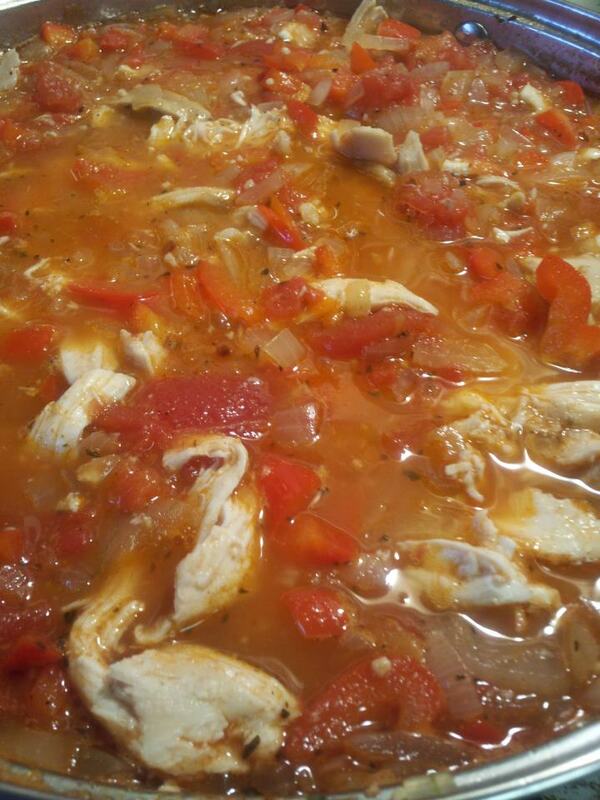 Add tomatoes, bring to a simmer, and cook for about twenty minutes. Add the rotisserie chicken meat and simmer for another twenty minutes. I prefer to serve mine over a 1/2 cup of brown rice. The best part of this recipe is how eagerly my children gobble it up. Any time I can provide them with something really healthy that they really love, I feel like I’ve had a huge victory. Oh, and did I mention this recipe reheats really well for lunch the next day? 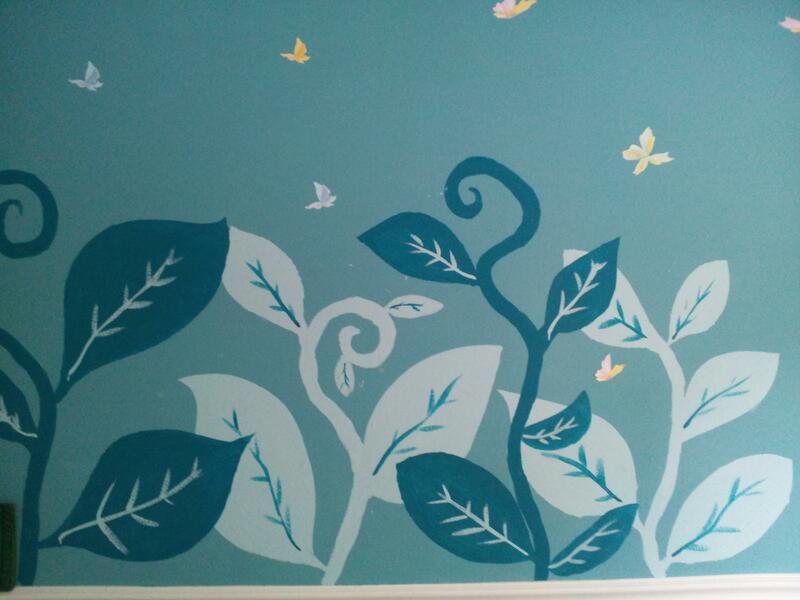 Today I completed the finishing details on the jungle walls in my daughters’ bedroom. I think it turned out pretty cool, and decided to share the result. The paint colors were chosen at a home improvement store by choosing a mid-shade paint chip I liked in turquoise and then a lighter and darker shade from the same color scheme. This guaranteed that the colors would go together. 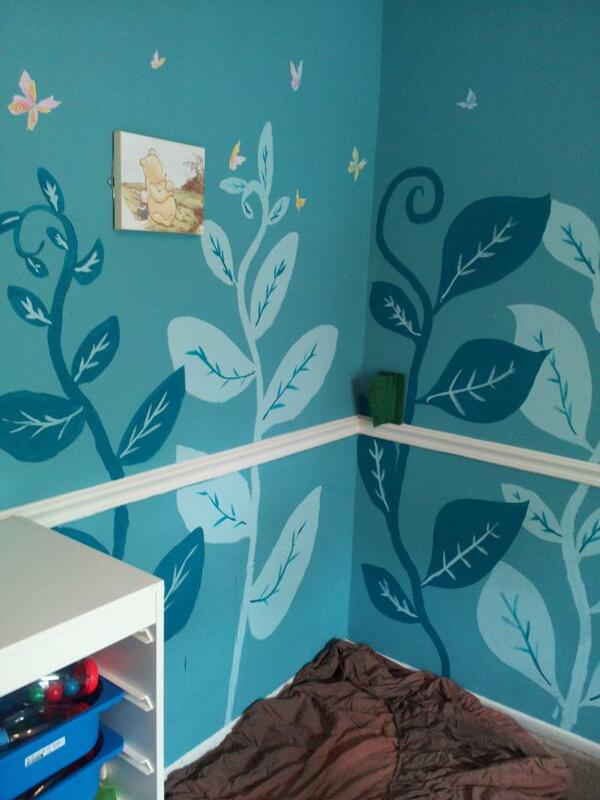 I initially started out by buying large sheets of poster-board, and used a razor blade knife to cut out leaves on each sheet (placed on top of a cutting board I use for sewing), which left behind templates for painting the leaves. 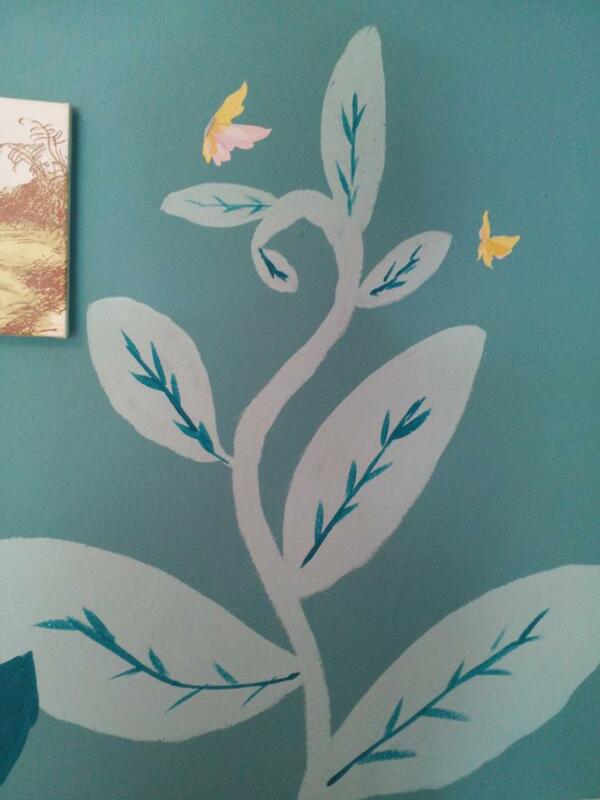 However, the problem with poster-board is that it soaks up paint quickly and could only be used once per leaf. Therefore, many of the leaves I ended up having to free-hand. Overall, though, it was pretty easy. After painting the vines and leaves using a half-inch trim brush, I went back with a smaller brush (maybe about a quarter of an inch) from my daughter’s paint set and used that to clean up the edges and paint the smaller leaves. Once the leaves were dry, I used this same brush to go back and sketch in the veins in the leaves using the opposite blue. 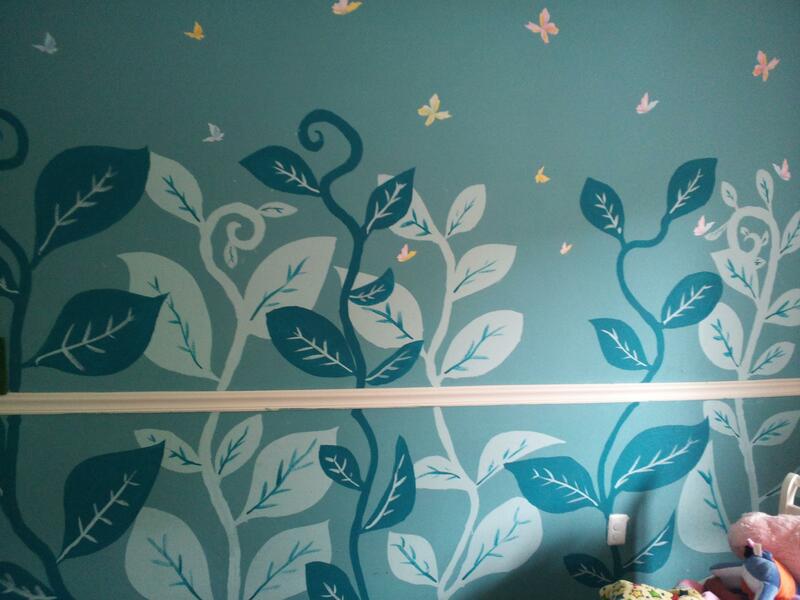 The butterfly stickers are basic wall-stickers that I bought at the local dollar store. The rest of the room is not shown for two reasons. A) It was a total mess at the time and B) until both girls get a little bigger, they are both in toddler beds which I acquired for their utility and not their beauty. When I buy them their next beds I will think about the aesthetics. I think the finished look is nice–it has a sort of three dimensional quality to it, and it’s also something a little different that suits almost any interest. My youngest loves Dora and my oldest loves Tinkerbell. Dora traipses through the jungle in every episode, and Tinkerbell fits in just as well with the leaves and butterflies as she would anywhere else.